Matcha is an ingredient that’s popped up a lot recently: we’re seeing it in tea shops, patisseries and Japanese stores, turning everything it touches a cheery and vibrant shade of green. You may also be hearing a lot about its purported health benefits. To be honest, I’m not so focused on the antioxidants and the enzymes, though you’ll have no trouble finding people to share their perspective on that. I am more interested in the history and culture of matcha and, of course, in coming up with delicious ways to enjoy it. 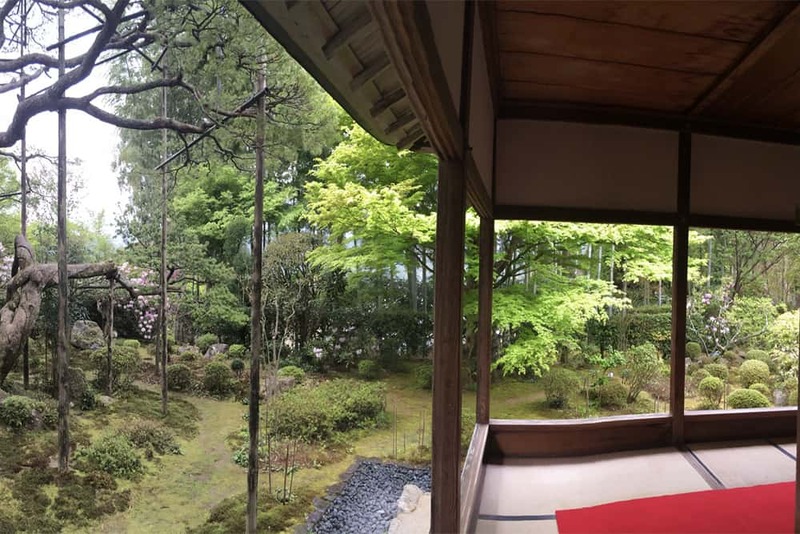 I fell in love with matcha on a recent trip to Japan, where monks whisk it into hot water to create a frothy, fragrant, subtle drink, served in tactile pottery bowls and cups to drink while contemplating beautiful gardens. 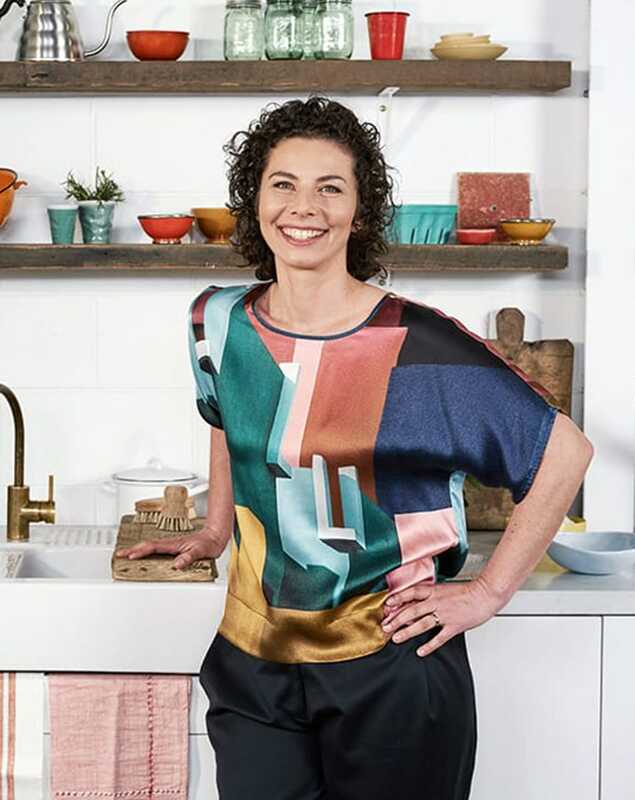 It’s a moving intersection of food and culture – and I’m all about exploring culture through food, and food through culture so I was definitely in my happy place! Matcha is a fine, powdered tea made from ground green tea leaves in Japan. The tea is specially grown, harvested and prepared with matcha in mind. Matcha tastes like tea…but it’s different. Most teas are fermented as part of the curing process; matcha is dried and ground, giving it a bright aroma and fresh flavour without the tannic qualities we normally associate with tea. To me, it’s lively and even a little bit grassy, reminding us that tea begins as a vegetable. The tea plants used for matcha are camellia sinensis, the same species used for regular green tea and black tea but it’s treated differently to turn it into matcha. Plants are shaded in the weeks before harvest which promotes high nutrient levels and ensures they are a deep, chlorophyll-rich green. 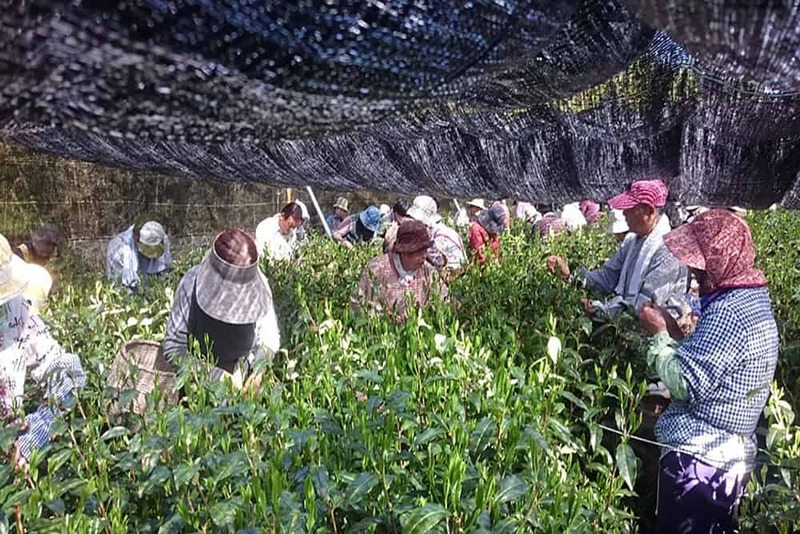 The leaves are hand-picked and shade-dried then carefully, slowly stone ground to ensure they don’t become hot during the process, thereby degrading the colour and flavour. For many centuries, matcha was only consumed in temples as part of formal tea ceremonies. There are inklings of Japanese tea culture from the ninth century but it was really from the 14th century that ‘the way of tea’ became codified. There are rules for everything: the dimensions of the room, the implements used and even the way they are stored and cleaned is all mandated, as is the way tea is served, received and consumed, with seasonal and geographical differences too. It’s a complex and beautiful meditation. When I travelled in Japan, and particularly when partaking of tea in Kyoto’s beautiful temples, I was sure I was doing everything wrong all the time. I felt gauche and clunky, though it didn’t stop me enjoying the delicious bowls of tea I was given. As I awkwardly bowed and sipped, gazing upon immaculate temple gardens, water features and stone and sand arrangements, I silently thanked everyone for being so nice, even as I surely mangled my role in the art of tea. 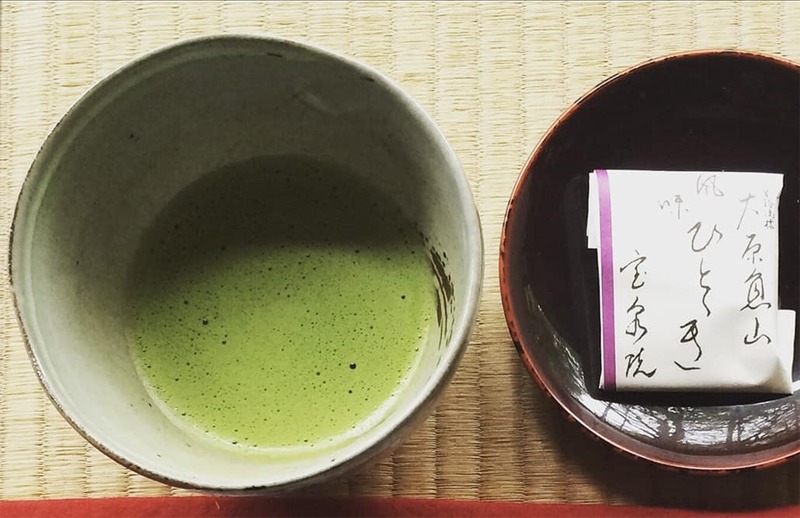 There are two basic ways to drink matcha, thin (usucha) and thick (koicha). Thick is almost like a paste, as thick as honey. Thin is a more drinkable consistency, like a caffe latte. Matcha is best made with water that’s around 80°C (175°F) and frothed with a special bamboo whisk. You can use a spoon or regular whisk until you become a matcha obsessive! 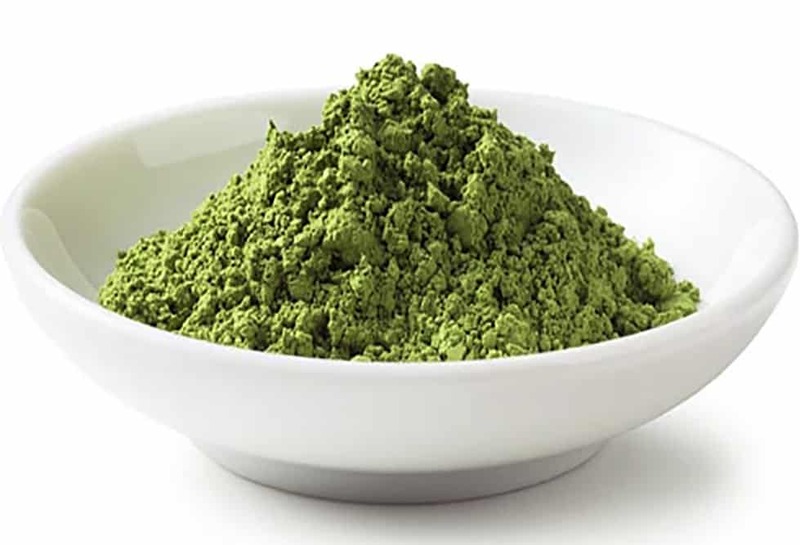 To make a basic matcha tea, put about 1/4 tsp of matcha into your drinking cup, add a tablespoon of hot water and mix it thoroughly, either using a whisk or teaspoon to break up the tea and create a smooth paste. Then, top it up with about one-third of a cup of water and mix again. For thick matcha, use 1 tsp of matcha and one-quarter of a cup of water. Of course, you can adjust the consistency to your taste. To make a matcha latte, use hot water to dissolve the tea and top with frothy milk. Try matcha for yourself, either as a traditional drink or in any number of contemporary recipes. 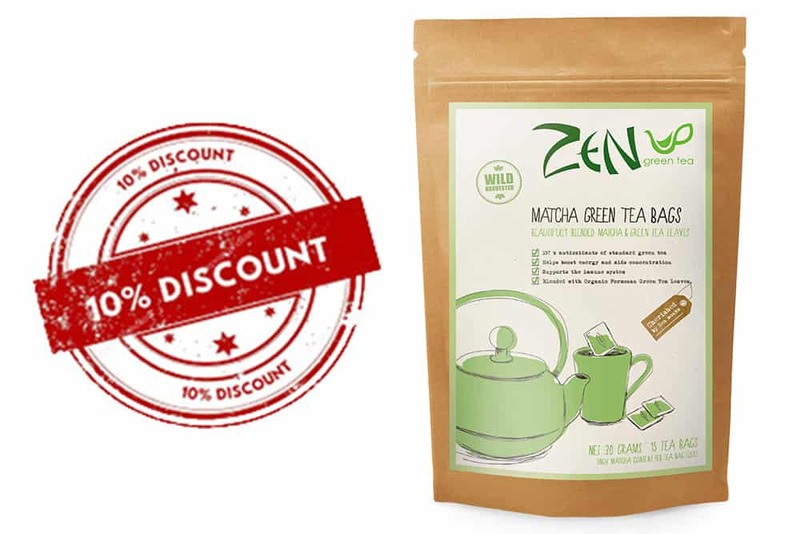 Zen Green Tea is offering the DANIVALENT.COM community 10% off its full range of products. As well as the tea itself, they also sell beautiful bamboo whisks. Simply use code DANIV10 when checking out to apply your 10% discount. Let me know how you use your matcha. 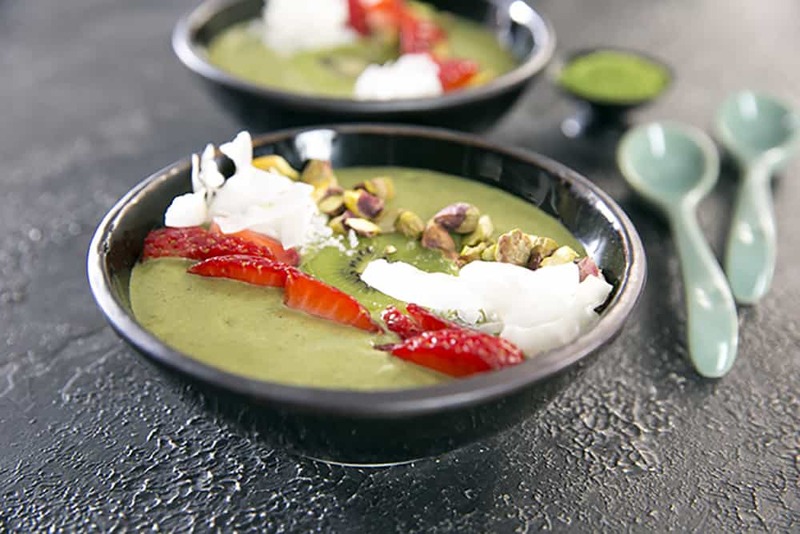 Surely you want to try my Matcha Smoothie Bowl! Who wants a quick, easy and healthy breakfast that also works as a jarred meal on the go? I do! That’s why I love this Matcha Smoothie Bowl, with the goodness of oats, nuts and chia seeds and a green boost from spinach and matcha. A couple of tips about this recipe: in hot weather, add a handful of ice cubes to give it a little extra chill and when you’re in a rush, or know you won’t have time to stop for lunch, take a jar of this good stuff to eat later. Who wants a quick, easy and healthy breakfast that also works as a jarred meal on the go? I do! That's why I love this Matcha Smoothie Bowl, with the goodness of oats, nuts and chia seeds and a green boost from spinach and Japanese green tea powder.